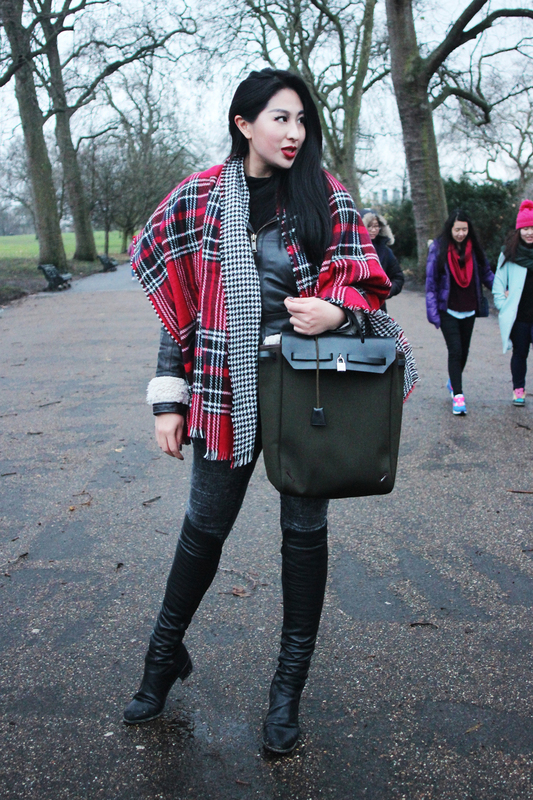 Can I just put it out there that the Herbag is not the ideal choice of arm candy for when you have to handle a camera? Maybe it's the sugar comedown that's messed up my hand-eye coordination or maybe I'm not evolved enough to do two things at the same time but I swear that the Herbag is strictly a work bag - it fits A4 paper perfectly- but it is not a working bag. As in, do not carry it awkwardly on your wrist while trying to photograph fast-moving animals in low light. There is not enough auto-stabiliser in the world for that superhuman feat of balance. Of all the creatures we met - giraffes, okapis, penguins, camels - my favourite is and always will be the majestic tiger. It's the animal whose year I was born in and I find the most beautiful of all the big cats. Those stripes; the silent, measured powerful stride, those arresting eyes...the lion may be the King of Cats but to me the tiger is Emperor. Perhaps the Land Of The Lions exhibit, which is coming to London Zoo in 2016, will convince me otherwise - and I look forward to seeing it, although not as much as I am to go on an African photography safari tour - but until then, my regent is the tiger. When we left the zoo it was dark, freezing, and I was feeling faint from having eaten nothing but a single chocolate bar (Snickers, if you were wondering). I was keen to go to nearby York & Albany but all the restaurants and my favourite Primrose Hill gastropubs weren't open till dinner - oh the woes of the hungry who refuse to dine at respectable hours. I'd planned to go to Selfridges despite all common sense, so we headed to Mayfair to try out the new sister restaurant of Burger & Lobster. Just around the corner from Selfridges, Smack Deli is the latest offering from the people that brought us the three choice menu brilliance of Burger & Lobster. 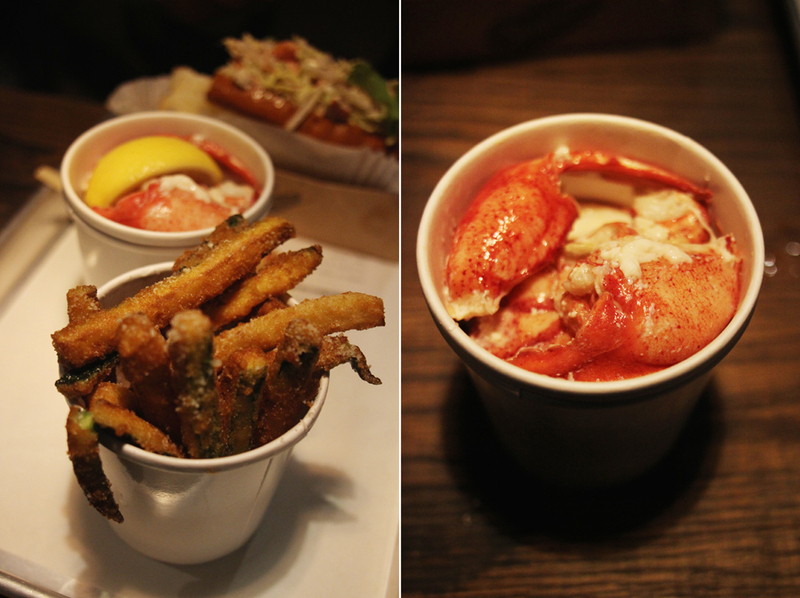 The good people at Smack Deli it seems know what they're good at - lobster - and offers variations of lobster rolls. The premise is quick, cheap, and cheerful - you order and pay for your food at the counter, pick it up, and you can either choose to takeaway or eat in the restaurant, perched on bar stools lined up along cafeteria style tables in a minimal, industrial chic setting. Henry plumped for the Happy Ending while I chose a California Roll, and we shared a lobster pot and courgette fries. Luxy mentioned that the courgette fries were too salty when she visited Smack Deli but I found them just right - crispy yet chewy, perfectly battered and fried, and the flavour just so. Perhaps Smack Deli have stepped up since her visit, and I am happy to say that they have. The lobster pot is the perfect side for lobster lovers who like their meat unadorned by sauces but for a squeeze of lemon and are too lazy to pick it out of the claws themselves. Henry reported his Happy Ending as very fresh. My California Roll (I asked for no cucumber) was well done, the avocado mayo with lime a rich but refreshing compliment to the buttery brioche bun. 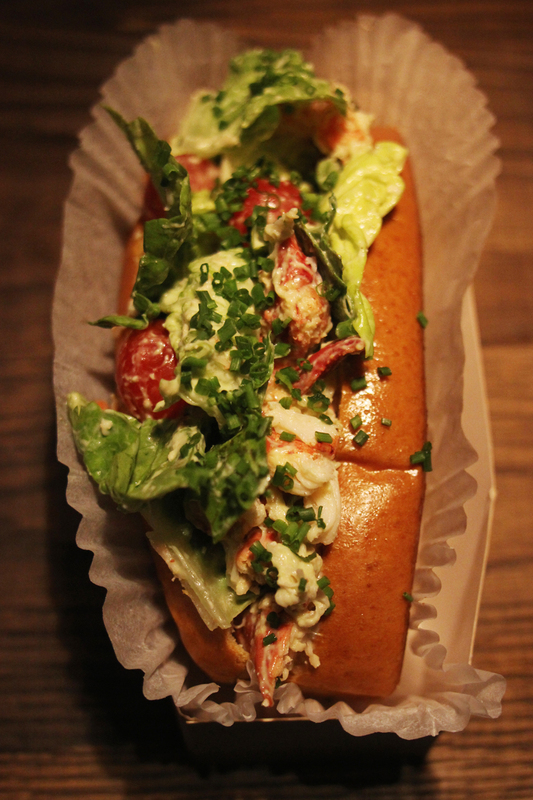 Although it did feel strange to have anything as vaguely as healthy as lettuce and tomato in what I consider to be a 'guilty pleasure' food, I imagine that fans of lobster rolls will be pleased by the offerings of Smack Deli's menu. Great photos, particularly the tiger. What a beautiful creature! Hi Jasiminne, just FYI that that when you click on the 'Instagram' icon on right hand side of blog, it directs to your twitter, not instagram. Kind Regards, A Loyal Reader!